Think of forecasting your sales as a puzzle: as pieces of your restaurant are added, its financial picture – and future – will become clearer. Remember to ask for help before drafting any financial document related to your business. 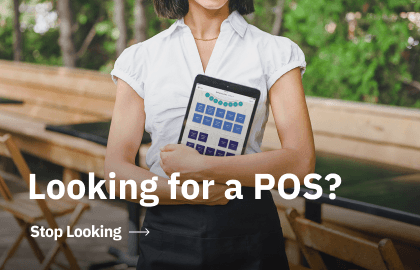 Your restaurant experts team is there to make sure you’re forecasting your sales correctly the first time rather than after you’ve wasted precious time trying to hack together a financial forecast spreadsheet yourself. Unless you were an accountant in a past life, no one expects you to know how to do it right! Here are two experts to lean on when forecasting your revenue before you open your restaurant. Before you forecast your sales, you want to make sure you’re asking the right questions and making realistic assumptions about your business. A restaurant consultant is a necessary sounding board to fill in any blanks in information before you get started on the numbers. A restaurant consultant will dissect your business plan and discuss your concept to glean all the information necessary to forecast your sales as accurately as possible. A great consultant will put together a list of factors that can affect your future sales, which you’ll then consider and cross-reference when working with an accountant on your financial forecast spreadsheet. After you’ve determined the variables that are most likely to influence your sales, your accountant will help translate those factors into numbers for your financial forecast spreadsheet. Your accountant also has access to knowledge and market research that shows how similar restaurants have performed in the past, which will help ground your financial forecast in reality during those theoretical stages of your business. So – your business doesn’t exist yet. You’re not making any sales, so how can you predict your future restaurant sales projections? The answer: informed assumptions. You may not yet know how diners will react to what you’re offering, but you probably do know how much space you want for seating, a general price range for menu items, and which days you’re more likely to be at full capacity. Market research can also tell you the average time it takes for customers to know about a new restaurant so you don’t overestimate or underestimate how long it will take for people to really start walking through the door. Square footage: how much space do you have for diners vs. the kitchen? Seats: how many people will be able to eat at your restaurant at any given time? Prices: how much are you charging per menu item? Hours of operation: are you open for breakfast, lunch, dinner, and late night? Market trends: when a similar restaurant opened in a similar location, how long did it take for that restaurant to operate at 100% capacity? The best way to be realistic about your business assumptions is to talk to other people who have opened restaurants! After you’ve mapped out what you think is realistic for a restaurant of your size, concept, and location, bounce your assumptions off someone else who has lived through what you’re about to. Learn from other people’s mistakes as early as possible, so you start your restaurant on the right foot. Other restaurant owners will be able to point out whether you’re charging too much or too little for your menu items or whether to bother opening for breakfast right away. Remember, you don’t want to have to scale back on your hours or your prices once you open. downgrading your concept sends a signal to the market that your business is in trouble, so you want to get things right as soon as you open. it’s always better to scale up once you’ve started small. Once you’ve fine tuned your business assumptions, you’re ready to do some math to forecast your sales. How long does it take to have lunch at your restaurant? If it takes about an hour and you see your restaurant only being able to accommodate one lunch service, then $480 would be your final estimate for the day at full capacity. But … your restaurant won’t be operating at full capacity every day. So based on what you now know about your sales at full capacity, you can calculate a baseline average for the week and then the year. You’ll want to scale this process by multiplying an average week times 52, then divide by 12 to get an average month. This would be your baseline month, when your restaurant has been operating for a while and has “found its groove”. But since your restaurant is just starting up, you need to assume you won’t reach full capacity for quite some time. Most restaurateurs slice their average estimates in half to come up with their final sales forecast numbers for when they are just starting out. The rule of thumb is to revise forecasting restaurant sales once a month after you’re open. But when you’re starting a restaurant, you should be reviewing your forecast when anything big changes. Let’s say your restaurant consultant does market research that indicates your prices are too low compared to your competitors and you could be selling yourself short on sales: you’ll want to change the numbers to reflect a higher unit cost. Or maybe a real estate deal falls through and you’re suddenly facing a reduction in square footage and therefore seats. The point is, when any of your major forecast variables change, your numbers need to change along with them. Here are some key factors that would warrant a review of your sales forecast. A large contributing factor to that baseline sales average is the number of seats in your restaurant. If you’ve projected sales with a certain space in mind and that space changes – whether because of a real estate deal gone wrong or a great opportunity that has presented itself – one of the first things you need to do is recalculate your projections based on your new seating capacity. If you’ve projected your sales and then find out a competitor has opened down the street and is offering similar menu items at a fraction of the cost, you may want to revise your unit cost. Competitive analysis may also reveal that you need to add a differentiating feature menu item, and you might decide to keep your prices the same as before but offer your speciality item at a specific price point – which may affect average meal cost if you think that item will be popular. You may have planned to open for brunch and then discovered the added labor throws off your ideal labor cost ratio, or that ingredients are too expensive to justify the added operational costs. If you projected sales based on being open for brunch, you’ll need to recalculate based on the decision not to open. Remember, it’s better to start small and add once you’ve mastered your core specialty. If you decide to open for brunch only to discover it wasn’t worth opening and you need to shut down, the market will see that you’ve scaled back and wonder why. It’s a lot better to create demand little by little with what you do best and then wow customers by opening for brunch once they’ve expressed the desire for it. After you’ve been open for a month, you’ll have one of the most important pieces of forecasting restaurant sales: reality. How well do your actual results match your theoretical projections? You won’t yet be in a position to gauge seasonal results, but you’ll have a much more informed vantage point to revise your projections for the next few months. You have more real results. It can’t be stressed enough how important it is to keep reviewing your financial forecast spreadsheet as you gain more insight into the realities of owning your restaurant. As you’re open longer, you’ll start to recognize patterns such as how the weather affects sales, what your competitors are offering that you aren’t, which promotions work better than others, etc. Every new piece of information is an opportunity to refine your projections until voila! – they start to match reality. You will be glad to say: "I'm so glad my insurance covers this"